Mr. Joseph Kandiyesa became the Director of Kindle in December 2014. 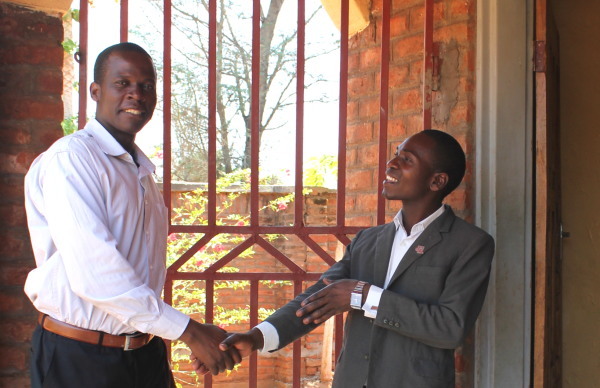 He was orphaned as a young boy in Dowa district not far from where Kindle operates. He was raised by his sister and he didn’t have enough money for college, but he managed to get accepted to African Bible College and he started to earn money for school by working as a guard and a lab monitor, and eventually he also received support from some well-wishers. Joseph’s wife Sylvia is a nurse midwife. She has just graduated with a Bachelor’s degree in Nurse Midwifery and is working at our local district hospital. Joseph worked for World Relief and World Vision before joining us at Kindle. He sees his personal mission as empowering the powerless, giving hope to the hopeless and giving peace to the afflicted. Mrs. Kamoza Chimungu is a widow with two children, and she comes from Mawila Luhana Village in the Mzimba district of Malawi’s Northern Region. She has a B.S. in Human Resource Management and many years of experience working in administration, human resources, safety, and quality management. She has worked for the National Commission for Science & Technology, Ministry of Hope, World Vision, and the Department for International Development, among others. She also participated in the development of the National Health Research Agenda for Malawi’s Ministry of Health. Mr. Clifford Panyakhe Harawa comes from a big, loving extended family in Karonga district in the Northern part of Malawi. His parents were both educationists professionally, and he did his primary and secondary education in various schools across the country. He is a born again Christian, married and a proud father of 3 kids (2 girls and 1 boy). Professionally he has done banking accounting and finance with both profit making and charitable organizations. Through his work he has been able to interact with people of different races, diverse backgrounds and cultures, and has done advocacy for the marginalized and underprivileged. Being educationists his parents were strict disciplinarians with a total belief in hard work and love for all humanity. These are the values he has grown up with and he surely believes that love is the solution to all problems facing humanity. Mr. Grandstone Mlenga started with Kindle in January 2017. He is the manager of all of our ministries that originate from our campus on a corner of Nanjoka Hillside Farm. This includes all of our work related to education, food security, youth groups, and family life groups. Chikumbutso Khembo is Kindle`s Monitoring and Evaluation Manager .He joined Kindle in the year 2016 but prior to working with Kindle, Chikumbutso has worked with Train Africa Holdings Ltd as Operations Manager, I -tech- Africa (IT specialist ,Baobab Health Trust (Data Officer) and Zomba District Council- Data Officer (UNICEF project). When he pays a visit to your home please don’t forget to give him Nsima with Beans. Mr. Arafat Kwaule Tembo is the manager of Katawa Community Clinic, and has worked for Kindle as a clinical officer since January of 2017. He oversees not only the outpatient clinic, nutrition clinic, and under-5’s clinic but also our health outreaches into surrounding villages. Previous to working with Kindle, he worked in several locations for the Ministry of Health. Pastor Tomas Mbereko started with Kindle in July 2005 as the Head of the Spiritual/Social Department, and he became chaplain in 2014. He is a pastor in the Africa Evangelical Church. The long-term volunteers with Kindle are Dorothea Stoppenbrink and Miriam Chung. 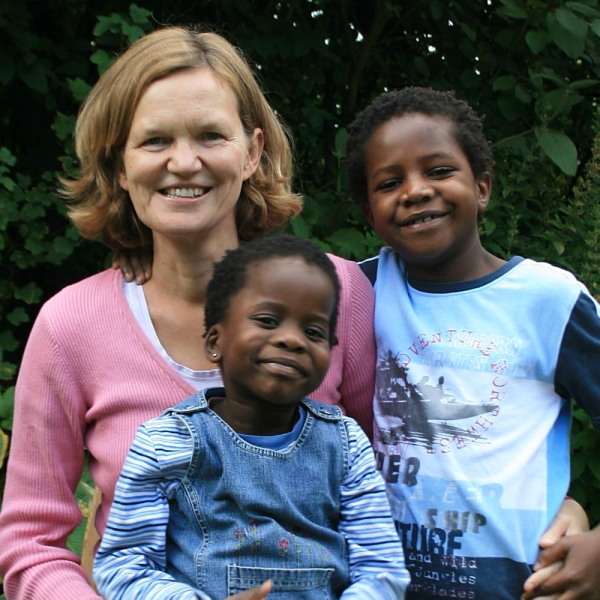 Dorothea is a Pediatric Nurse and Missionary who has been working with Kindle Orphan Outreach since 2005, bringing light to orphans and disadvantaged children and their guardians through holistic health and nutritional programs. 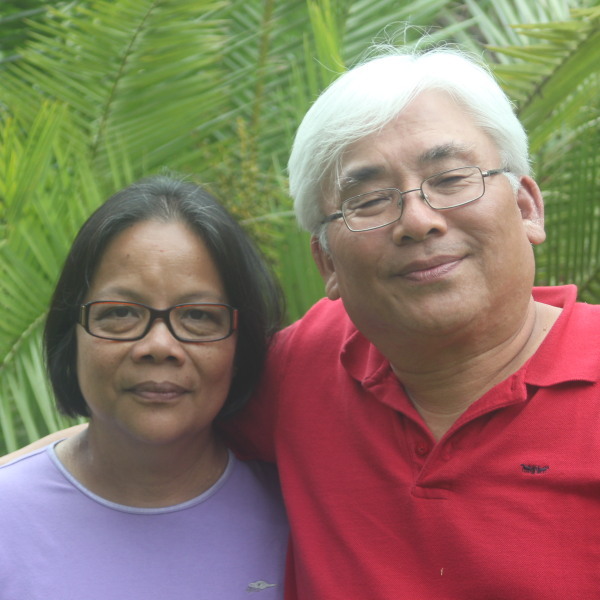 Jacob and Miriam Chung came to Malawi in 2012. Miriam is a nurse working at Kindle’s Katawa Community Clinic, while Jacob is developing discipleship groups throughout Salima district.